PrestaShop is one of the most popular eCommerce solutions in the Envato community. Perhaps you’ve used it for your own store. It’s open source, supports many popular payment gateways, and you can extend its functionality with CodeCanyon’s 70+ PrestaShop Add-ons and Modules. These are the 10 best-selling plugins right now. 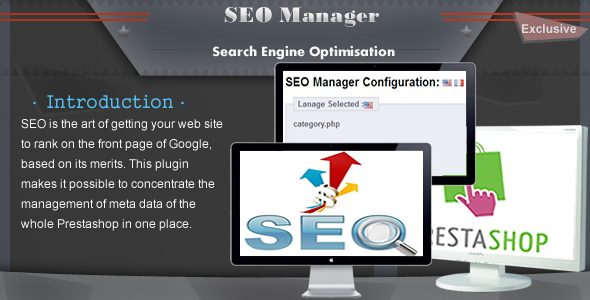 Create a responsive or fullwidth slider and build SEO optimization. This plugin features unique transition effects, an image preloader, video embedding, autoplay that stops on user interaction, and easy to set options to create your own effects. This PrestaShop SEO Module provides a comprehensive tool to generate the meta tags for your shop resources with just one click. Use relevant keywords to your business and improve the ranking of your web pages in search engine results pages. 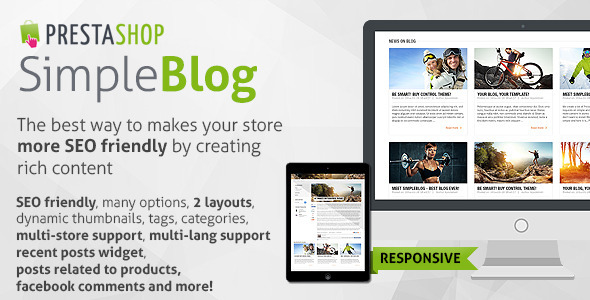 Many PrestaShop stores are after a simple and SEO-friendly mechanism to create more content in stores. Like a simple blog that doesn’t require you to install WordPress. This is it. 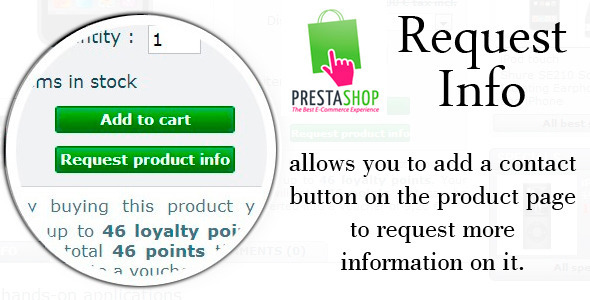 Add popup notifications to your PrestaShop store. This plugin provides notifications for the home page, product pages and custom pages with five different content types and five animation effects. Over 2.5 million websites are integrated with Facebook, making it easy for customers to sign in. Add your PrestaShop store to the list. 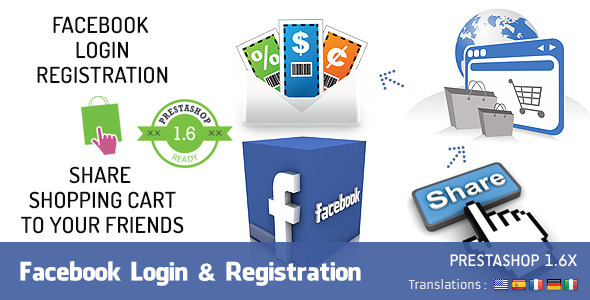 This Facebook login and promotion module will allow your customers to sign up to your store using their existing Facebook accounts, increasing your conversion rate, and allowing them to promote your store to their friends. This PrestaShop has one handy feature. 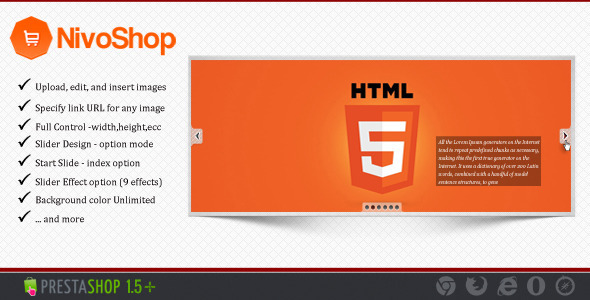 It allows you to use HTML in your descriptions—including category, manufacturer, supplier and category descriptions. Give your Prestashop store readable URLs that are friendlier with search engines. This module allows you to remove dynamic id from your URLs, and replace them with SEO-friendly URLs, including products, categories, CMS pages, manufacturers and suppliers. Show something new to your customers during maintenance or before your store launches. 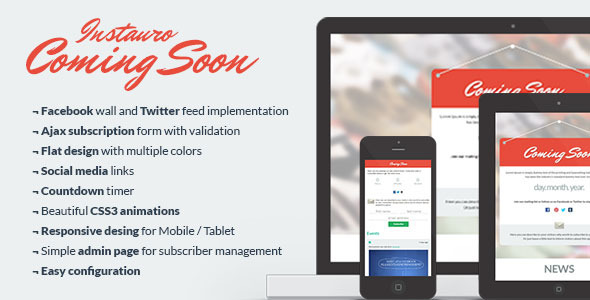 This easy-to-use module allows you to do that while gathering email subscribers, Facebook fans and Twitter followers at the same time. It also contains a Timeline, where you can show your Facebook posts and Twitter feed. Organise web content into a beautiful and user-friendly slider/banner at the top of your PrestShop pages, containing your products or advertisers. 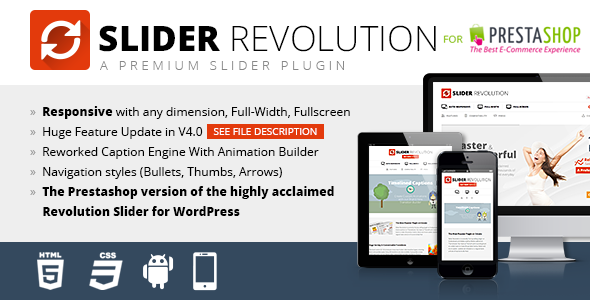 This slider module includes all Nivo Slider effects, and is completely configurable. Add a contact button on the product page to request more information on it. This module lets you increase your sales by providing users an easy way to inquire about a product (product features, availability, request a rebate, etc.). What’s your favourite PrestaShop module? Want more? Continue exploring in this awesome collection of PrestaShop Modules 2014. Newsletters are a great way to maintain client engagement, attract leads, and drive conversions.